Two-hundred thirty-nine years ago, roughly a dozen miles northwest from the city of Boston, musket fire rang out at dawn in Lexington, Massachusetts. Dubbed “the shot heard round the world”, it was an event that we all learned about in our American history class or social studies, as they began calling it when I was a kid. 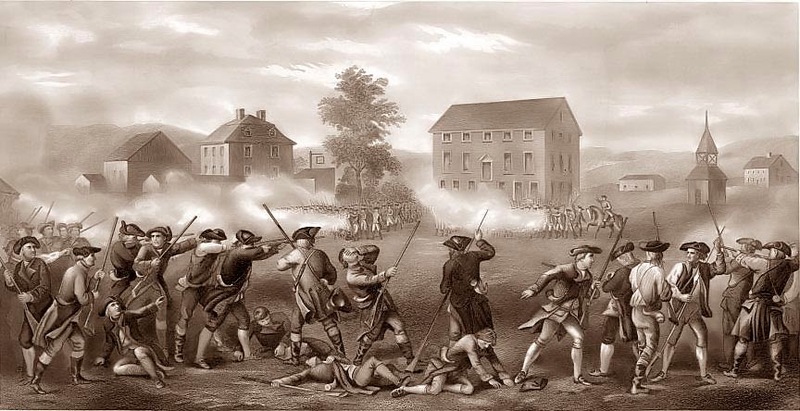 While not the first skirmish against the British Empire, it is recognized as the first armed conflict under orders by the thirteen colonies against the mother country. Our patriot forefathers, who stood shoulder to shoulder and ushered in the American Revolution, did so because they had a shared belief that there was a better way and that an oppressive government that tyrannically stood in the way of freedom and liberty must not stand. That dream was realized and this nation was born. We are the stewards of that dream, and this great monument is tarnishing on our watch. This week, Cigar Aficionado reported in their bi-weekly periodical, Cigar Insider, that another cigar bar has closed in the city of Boston. This marks one step left before every cigar lounge in the city will have been eradicated by city council mandate and presumed citizen consent. Sad is perhaps an inarticulate sentiment. We are causing the obituary to be written while the patient dies of a curable affliction. I challenge and implore you to join Cigar Rights of America. CRA has become the point of the citizens’ spear in all things cigar legislation related. If you are not a member, please join. If you are already a member, thank you sincerely; but please mention this critical organization to three friends of yours, whether brothers and sisters of the leaf or not, and encourage them to join. History has a peculiar way of repeating itself, both good and bad. Why not embrace that and let’s repeat the good of respecting and protecting our freedoms. It can and must happen and I surely don’t want this decay to continue unabated on my watch. We need to remain serious about these laws and regulations which are literally stripping us of the opportunity to do something so basic as merely enjoy a cigar. This is damning precedent that cannot stand. Please visit www.cigarrights.org and join or donate today! Unless otherwise obvious or noted, all content copyright Cigartender, Inc. 2013. Simple theme. Powered by Blogger.